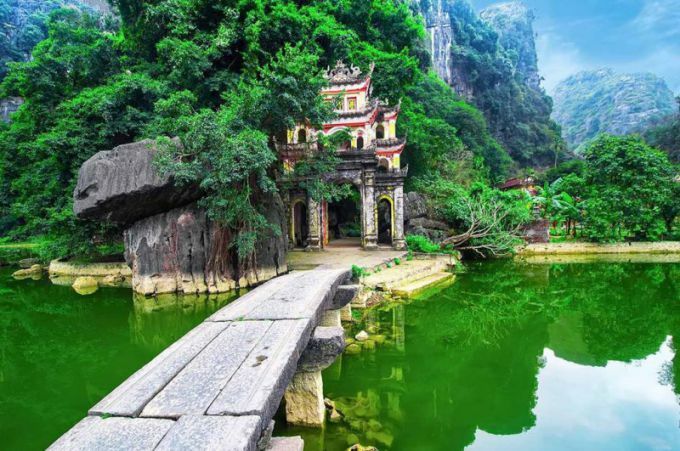 Vietnam has a greater length from North to South, and the topography of the country is very diverse. These geographical features affect the climate. Therefore, when one part of the country it's wet season in another part of the country can be warm and dry. Because of terrain features, elevation changes and great length of the country from North to South, Vietnam is divided into three climatic zones. The specific climate is such that when one part of the country comes the rainy season, in another part of Vietnam are warm and Sunny. So the holiday season in Vietnam lasts year-round, but before you go on a beach holiday tourists need to deal with the peculiarities of the climate of this country, to go to a place where it will be comfortable weather with no rain and typhoons. Vietnam is divided into three climatic regions: North, South and Central. The climate of the Northern region is characterized as subtropical monsoon. This type of climate characterized by high humidity, humid summers and cool winters. The average daily air temperature in the period from December to February is +17...+20 °C. In mountainous areas the temperature can sometimes drop to +5 °C. The wet season in the North lasts from late may to early October. During these months it can rain up to 80% of annual precipitation. And the average temperature reaches +32 °C. For rest on resorts located in the Northern part of Vietnam, best spring — April and the first half of may in spring and October and November. In these months, precipitation is extremely rare. The climate of the Central region of Vietnam is also subtropical monsoon. However rains in the Central part of the country starts later than in the North. The wet season lasts from August to January. Most rain falls in October-November. Abundant rains in the Eastern ridges and foothills of Chiongson, and less precipitation falls on the coast. Southern Vietnam with a mild tropical climate characterized by a more stable temperature throughout the year. The average annual air temperature is kept at +26...+29 °C. the Wet season here begins in may and lasts until November. During this period there are about 90% of annual precipitation (up to 2000 mm.). During the dry season there can be long drought, which badly affect the harvest of fruits and vegetables. When is the best time to relax in the resorts of Vietnam? In Nha Trang, MUI ne, Quinone the most comfortable weather occurs from late February to early June. Da Nang, hue, Hoi an is best to visit between March to August. For the trip to Hanoi and Halong suitable periods April-may and October-November. Ho Chi Minh city and Vung Tau are usually pleased with the good weather from January to may and November-December. Buy vouchers for beach resorts Vietnam before the beginning of the dry season when rainfall is already over, but sometimes there are short rains. If you do not use the services of tour operators, the search for cheap housing in place. To reserve a room at the hotel in advance just for the first night. Cheap tickets Vietnam are better to buy in 5-6 months.